There's no need to "break the bank" these school holidays with these free recreational options. 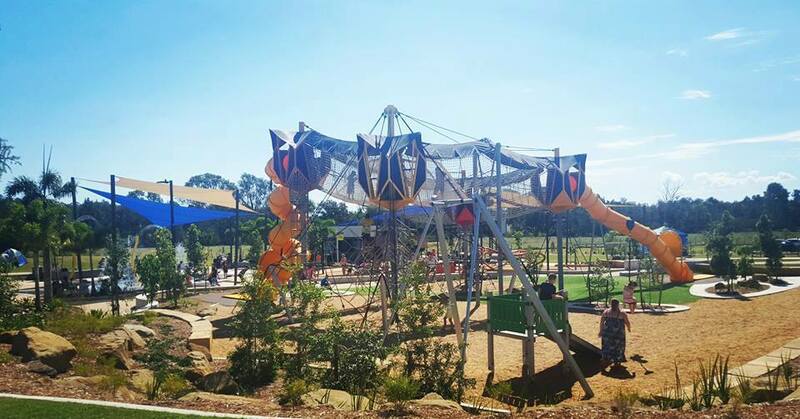 With water play areas, an impressive adventure playground and several sheltered picnic areas, this venue will please children of all ages. There is even an onsite cafe with a generous decking area overlooking the parklands. Step back in time to the age of dinosaurs! Children will enjoy exploring the grounds and examining the dinosaur footprints and fossils that have been found there. A 200m return Triassic Circuit features various creative and informative displays as well as an impressive Stegosaurus shelter. More adventurous visitors can follow a walking track to the water tower for 360 degree views of Ipswich City. 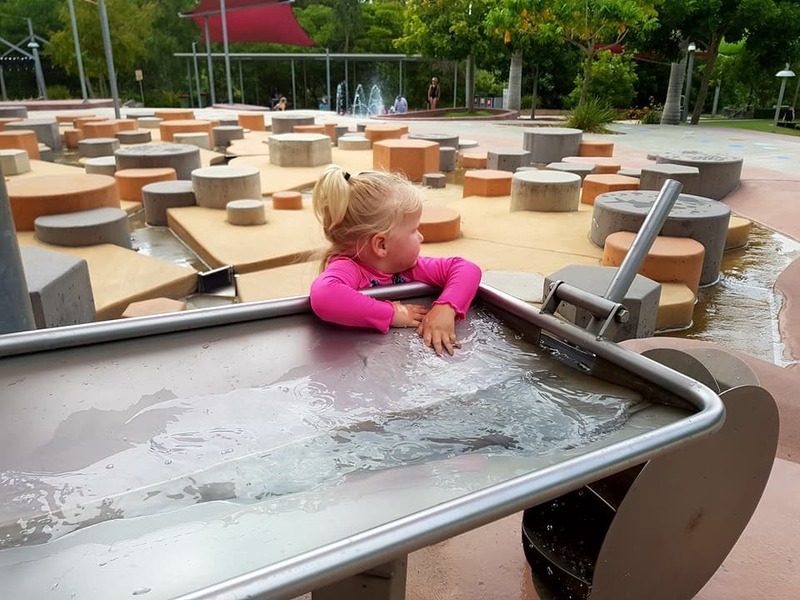 This fairy-tale themed park will inspire imaginative play with a concrete castle structure, viking swing, sword in the stone, bridge and scramble net. A zero-depth aquativity zone features an array of alternating water sprinklers. Children can also experiment with water pumps and direct overflow through a network of stepping stones and pathways. Two adjacent playground areas cater for varying interests and abilities. The Discovery Forest boasts impressive mature trees, thick canopies and cool temperatures. Little adventurers can explore the forest floor, climb and swing on a rope attached to a tall tree, enjoy wooden balance beams, cross a wooden bridge and climb through two forts. Explore 1.2 kilometres of pram and wheelchair accessible boardwalks. At nightfall children will be amazed by laser projections of mystical creatures Ippy, Limey and Stoney. This beloved park is best known for its water play, in particular, the iconic tipping bucket of water. 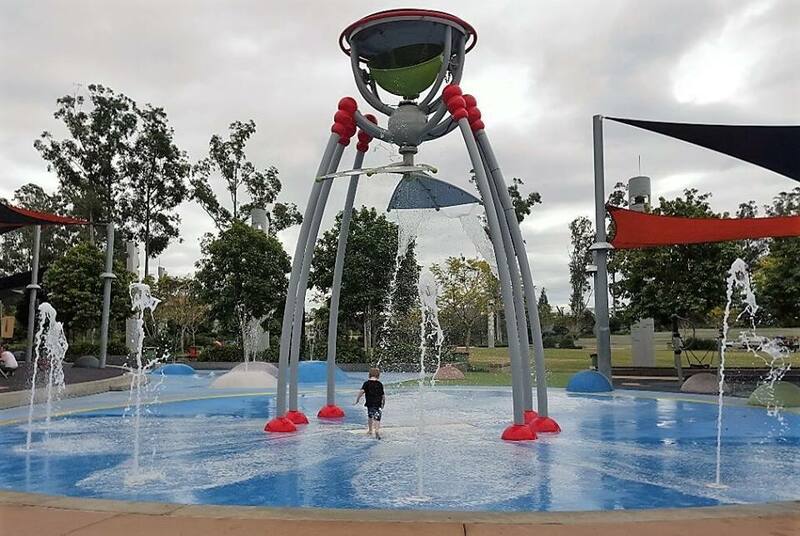 Water spouts and sprinklers entertain younger children, whilst playground and exercise equipment cater for all members of the family. Cool down by taking a dip at the lagoon or frolicking in the trickling waters and sprinklers. Lifeguards, onsite cafe and permanent beach umbrellas for your convenience. Located within Queens Park, Nerima Gardens features stunning traditional Japanese gardens, walkways and a large lake. It is ideal for photographic opportunities and general relaxation. 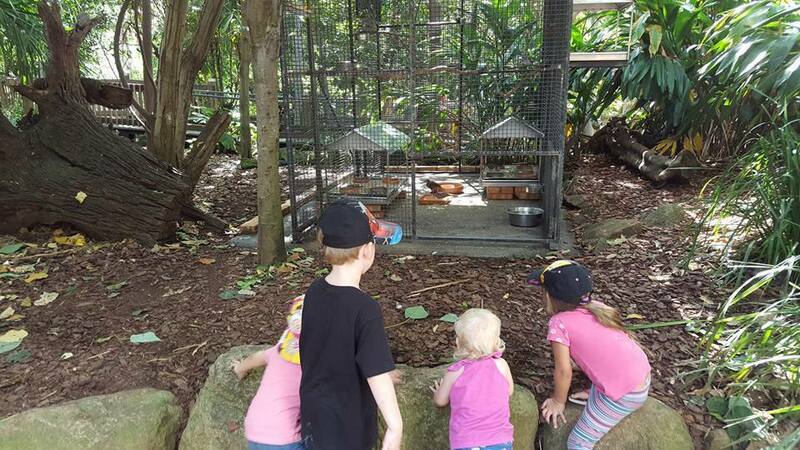 Also located within Queens Park, Ipswich Nature Centre, showcases an array of Australian wildlife, including wombats, wallabies, emus, quolls, and a nocturnal bilby exhibit. The centre also boasts an enormous rainforest bird aviary and a small barnyard with resident chickens, goats, sheep and a friendly bull (if you visit around springtime, this menagerie also includes calves, lambs and piglets). Whilst entry is free, donations are encouraged to assist with operational costs. This aviation themed playground features a plane structure with mock cockpit, an air-traffic control tower, blue paths painted with clouds and parachute-inspired swings. Electric barbeques and toilet facilities allow for extended visits. In addition to collections of both modern and heritage art, Ipswich Art Gallery also provides a dedicated children's section offering various child-centred programs and activities. Admission is free unless stated otherwise (special exhibitions may attract a small fee). Situated along the banks of the Brisbane River, this venue is ideal for fishing and kayaking (swimming is not permitted). 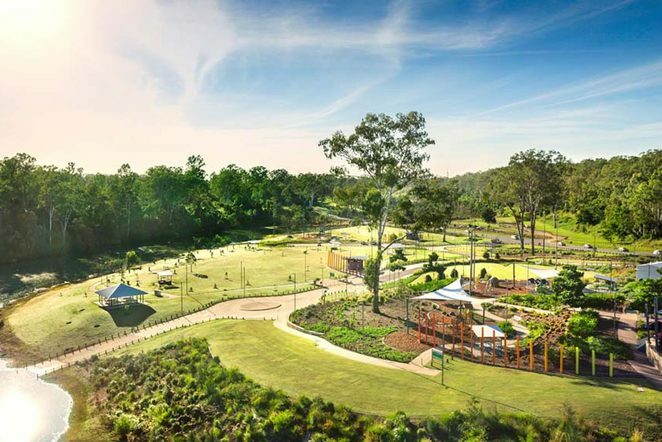 Family members of all ages will enjoy the outlook, with a shaded playground and nature play area for the children. Riders of all ages and abilities will appreciate a visit to Sutton Park. Featuring miniature roads, younger children will negotiate traffic lights and signs, roundabouts and a pedestrian crossing. Older and/or more capable children will enjoy an extended network of bike paths and skate bowl. The highlight of this venue is a 9m high custom-designed cube tower with an 18m slide. Family members of all fitness levels are catered for with an obstacle course, chest press, fitness bike and cross trainer and sporting courts.